Renting to become the norm for the young people of Cardiff? 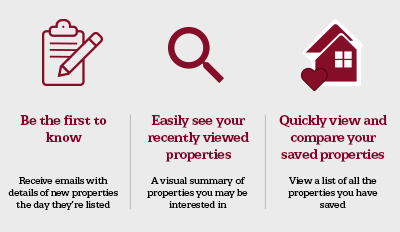 I had the most interesting chat with a mature couple (in their early/mid 50’s) from Llandough the other day, whilst viewing one of our rental properties. The property wasn’t for them, but their son, who wanted a second viewing with his parents to get the parental blessing. Now I know that isn’t the norm, but in this case the parents were going to act as guarantor. We got chatting about the Cardiff Bay property market and how they had bought their first property in the area just after they got married in the late 1980’s when they were in their early/mid 20’s. Anyway, we got chatting about how the youngsters of the UK seem to rent more than buy nowadays and from that the conversation covered a number of similar topics. I want to share the highlights of that conversation with you today. Their son, like many 20 to 30 year olds in Cardiff Bay, desperately wants to own his own property and the parents said he had read in the Telegraph recently, when you compare house prices to earnings, the current 20 to 30 something’s generation have to spend more of their salary in mortgage payments than any previous generation. 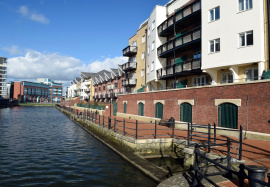 The demand for private rental sector accommodation in Cardiff Bay is huge. There are in fact 30,042 private rental properties in Cardiff Bay at the last count, impressive when you consider there are 13,354 council houses in the area. However, let us not forget 80,965 properties are owner occupied (44,069 with a mortgage). Looking at the affordability issue, I have proved time and time again, it is in fact cheaper to buy a property than rent, when one looks at starter homes for first time buyers. 95% mortgages have been available to first time buyers for over four years and whilst you could certainly find better properties in better condition in better areas, terraced houses can be bought for as little as the mid £130,000’s in the Ferry Road area of Cardiff Bay (meaning a modest deposit of £6,500 would be required). When it came to affordability, I was able to tell them that when they bought their first house in Cardiff Bay in 1988, the ratio of house prices to salary was 4.26 to 1 in Cardiff Bay ... and here was the surprise for both of us, today’s ratio is only 4.87 to 1! Yes, there are horror stories of tenants living in rat infested properties with landlords who charge massive rents and don’t repair their properties. But that is very much the exception as most tenants rent homes of a quality they couldn’t ever to afford to buy. Twenty years ago, if you said you rented a property, you were considered the lowest of the low ... but now it’s the norm. So with mortgage affordability being well within the bounds of most first time buyers, the level of deposit required for a 95% being surprisingly modest (starting off at c.£6,500 in Cardiff Bay as mentioned above) until we change our attitudes, the UK housing market is slowly but surely turning into a more European model, where people rent for long periods of their life, then eventually inherit their parents properties and subsequently become homeowners themselves, albeit later in life.